Kory, Checks in the mail. See you in a few weeks. Cool beans... Can't wait to see you guys! can I bring you cash? Kory, you have some PayPal money, I am paid in full. These are labeled, bring them to Florida for and extra prize drawing. Is it to late to register?? 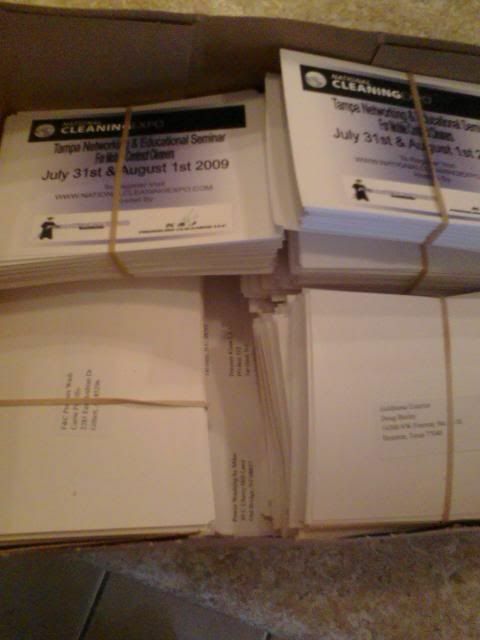 Hey guys some of you have sent checks but have not registered on NCE. And some have registered and not paid. Make sure you get that in or I will delete you from the list. 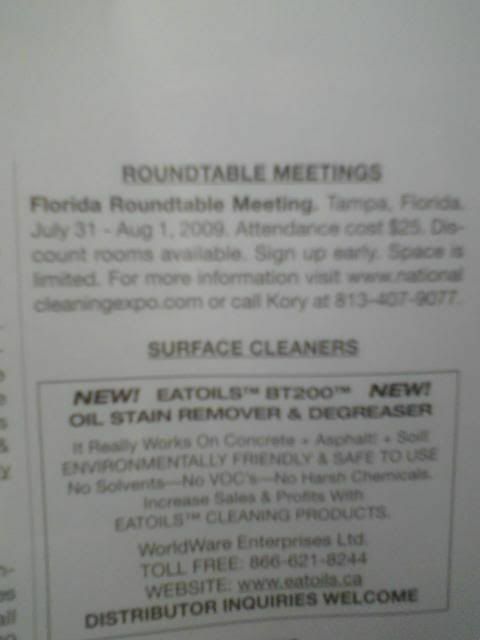 I want to annouce PowerWASH INdustries will be joining the Florida networking meeting. Let me run down the people at the event so far. Seal N Lock, DelCo, Sunbrite, E-spec, Powerwashindustries, Who did I forget KORY? Is Espec bringing any of their big machines. Ron, you mean that Cyclone driving surface cleaner that cleans, recovers and re-uses the water????? What about the Turbo Twister people???? That is a great machine for large flatwork areas.